Mark Sullivan, former director of the United States Secret Service and co-founder of Global Security & Intelligence Strategies, is the featured speaker at Whitworth University’s spring President’s Leadership Forum. Sullivan will discuss the challenges of national and international security during his talk, titled “International Security: An Insider’s View” on Tuesday, April 15, at 7:30 a.m., at the Spokane Convention Center. The cost is $25 per person or $250 for a corporate table. Breakfast is included. Pre-registration is required. To register, visit www.whitworth.edu/leadershipforum. For more information, please call 509.777.4974 or e-mail iaevents@whitworth.edu. Whitworth University benefits greatly from the considerable support of the Spokane community, and the President’s Leadership Forum provides an opportunity to give back, according to Taylor. The biannual forum draws key national leaders to the Inland Northwest to provide wisdom and insight on a variety of contemporary issues. Sullivan served as director of the United States Secret Service from 2006-13, serving under Presidents George W. Bush and Barack Obama. He began his Secret Service career as a special agent in 1983, after serving five years in the Office of the Inspector General for the U.S. Department of Housing and Urban Development. Sullivan retired as director of the Secret Service in 2013. After his retirement, Sullivan and five partners founded Global Security & Intelligence Strategies. Throughout his 27-year career in federal law enforcement, Sullivan led high-impact initiatives in criminal investigations, protective operations, strategic planning and risk management, directing 7,000 special agents, division officers and administrators. During his time with the Secret Service, Sullivan was responsible for the protection of two presidential campaigns, the prevention of nearly $20 billion in potential financial crime losses, the seizure of over $1.1 billion in counterfeit currency, and the arrest of more than 50,000 suspects for the violation of federal statutes. 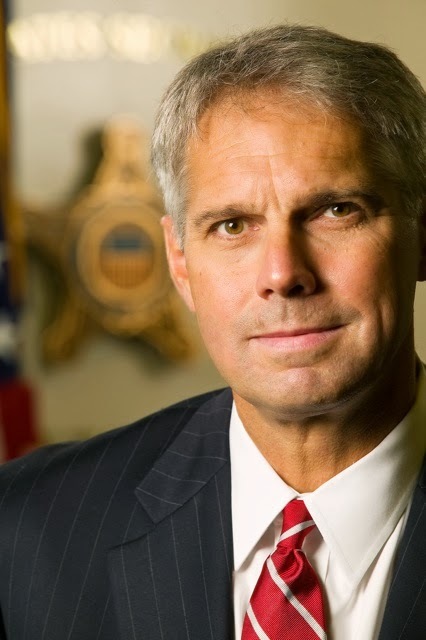 Sullivan has received numerous awards and recognitions for his leadership and professional integrity, including two Distinguished Presidential Rank Awards, and a Department of Homeland Security Secretary’s Award and a Distinguished Service Medal, which is the highest civilian award given by the DHS. Sullivan currently serves as the national chairman of Law Enforcement Explorers; he also serves on the board of directors for Command Security Corporation. He holds a bachelor’s degree from Saint Anselm College, in Manchester, New Hampshire. The executive partners for the spring 2014 President’s Leadership Forum are Sterling Bank, Avista, A M Landshaper, Greater Spokane Incorporated, Moss Adams, and Vandervert Construction. Sponsorship opportunities are available. For more information about sponsorships, please call 509.777.4974 or e-mail iaevents@whitworth.edu. Whitworth’s previous President’s Leadership Forum, held Oct. 15, 2013, featured Pulitzer Prize-winning author Doris Kearns Goodwin. Michelle Drennen, assistant director of development, advancement events, Whitworth University, (509) 777-4974 or iaevents@whitworth.edu.